This week’s flight of mercy to help with second chicken pox victim was bookended by a couple of Wren’s churches. I say churches but one, St Paul’s, is of course a cathedral – indeed it’s England’s first built Protestant cathedral, erected after the Great Fire of London had completely destroyed the previous building. On Tuesday, it was St Brides in Fleet Street, warmly regarded by journalists as their church. “Brides in Fleet Street lacks a choir” as the nursery rhyme goes and it does in that the choir sit facing each other in the middle of the nave, as in a college chapel, with the congregation arranged in the same way. Bombed in WW2, with just walls and spire remaining, it was completely rebuilt to Wren’s plans in the 1950s. Daughter No 1 was reading a lesson in a service dedicated to the remembrance and celebration of journalists, with particular reference to those lost this year (including the murdered Jamal Khashoggi) but also journalists who had died in WW1 (e.g from The Times newspaper, more than 150 and The Telegraph, more than 250). We sat behind former Vogue editor, Alexandra Shulman (triply rooted in the profession as the daughter of journalists) who in her address underlined the principle, ‘not unkind; not untrue’ (not her words), to be as difficult to abide by in writing about high fashion and battling gross commercialism as it is in investigative and comment journalism. Of course I can’t resist adding that she wore a silk skirt in a houndstooth check in shades of blue over which bold flowers had been embroidered [by machine] while her lurex jumper, in a similar but not quite the same blue, was lightly printed withe Indian motifs. They didn’t quite go together as an outfit but I loved the idea that she loved them enough to want to wear them together. (Daughter No 1, “Though I thought her mismatch perfect!”) Turning to talk to us, she was touchingly nervous, doubted the calibre of her address and felt as down to earth as someone you might regularly meet for coffee and a chat. Back in Islington life with a very spotty 18 month old and a nanny not in the best of health meant there was plenty to do. Books too needed to be shifted from the room formerly designated as the study but soon to become the small person’s bedroom. This was not an occasion to be a perfectionist (it can pretty much do your head in if you let it) and for the time being books were shelved according to size and subject matter. One of my passions is English church music – choral evensong I think just might be the most perfect of Anglican church services. Three Oxford colleges had – well still have – full choirs with boy trebles who sang every evening during each of the university’s three eight week terms. Magdalen College Choir was my favourite and it was rare that I missed a service while I was an undergraduate. My grandson now attends St Paul’s Cathedral School which lies tucked in behind the east end of the cathedral. He loves being so close to this glorious building which he can clearly see from his class window and is curious to know more about the school’s choristers who sing in the cathedral (lovely little video about the choristers on the school’s website). I promised to take him to a service. Yesterday seemed an ideal day so I set out to meet him from school. First I braved the Piccadilly Circus end of Regent Street to visit my current favourite shop, Anthropologie, but Black Friday crowds were ridiculously bad and after a brief circuit and no buying I bused it up to the cathedral with plenty of time to walk round and enjoy the building … and discover that yesterday the boy choristers weren’t singing (not mentioned on the cathedral’s website). We shall try again, when I’ve checked with the choir master. Nevertheless, we had a nice one on one session, a bite to eat and bussed it home in time for me to have another hour with the family before the 19.48 train to Cheltenham. 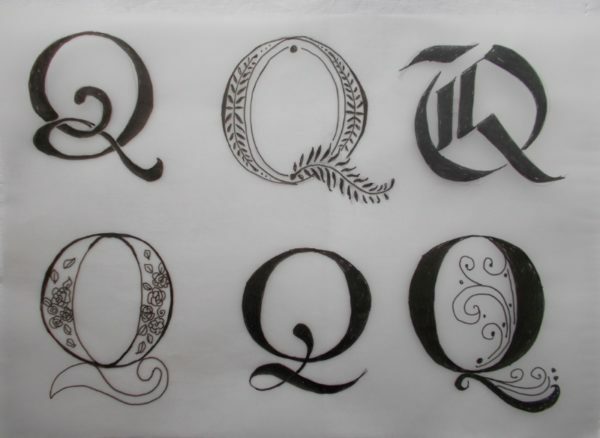 How rarely one uses upper case Q – probably not at all if it weren’t for Queen Elizabeth! 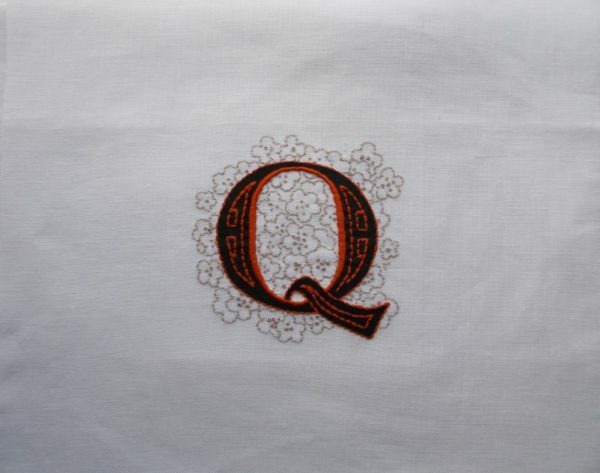 One certainly has very little opportunity to use a gloriously ornamental upper case Q – the word “Quarantine” rather requires something that looks a bit more businesslike! And I can’t recall ever needing to actually use the word ‘Quarantine’, let alone at the beginning of a sentence! I have always found it interesting how many public figures get nervous before speaking, even doubting the appropriateness of their words. One of my classmates at seminary has become quite a famous professor of Homiletics and he still gets nervous, even asking if the sermon was o.k. When my husband was director of The Wilson (when it was called Cheltenham Art Gallery and Museum) he always got his young curators to give informal lunch time talks which he thinks did help those naturally more shy to get used to something which was likely to be an important part of their future life. Having said that, he gets nervous – so perhaps nerves have a useful function with some personalities! This Q reminds me more of the first Elizabeth or maybe Mary Queen of Scots. How wonderful to know that you tune into Choral Evensong in distant Canada and that you love it so much. Having a largely unchanged format over many centuries I feel it links me to past worshippers and now I know reaches across the world too. You describe it so well as a jewel in the Anglican liturgy. 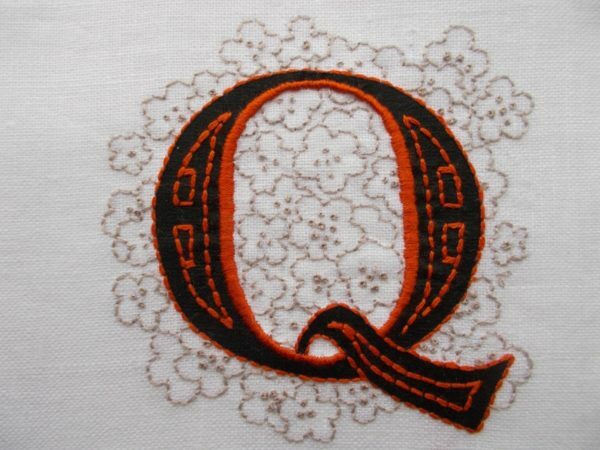 Easy to use Q regularly if you are a Quaker! 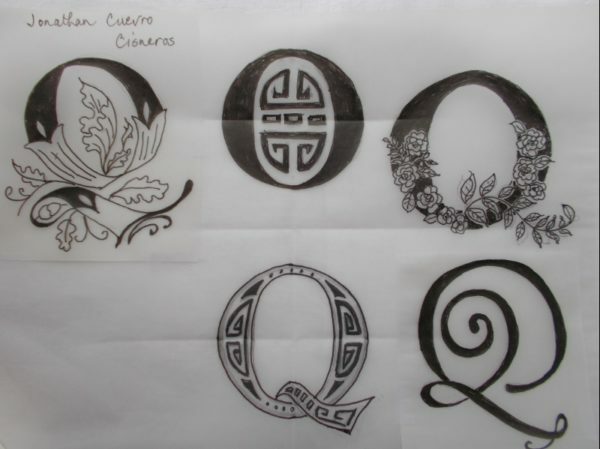 Yes, I did think of that – and a capital too, but perhaps a less flowery one.